Hepatitis C is a chronic infectious disease of the liver caused by a virus that is transmitted through the blood. It is dangerous because it leads to the development of cirrhosis and cancer of liver. There are more than 200 million people infected with hepatitis C in the world, this virus causes 70% of chronic hepatitis cases registered in the world, 40% of cirrhosis cases and 60% of liver cancer cases. It is much more common and harmful to health than hepatitis B and AIDS. The hepatitis C virus (HCV) causes both acute and chronic infection. Acute HCV infection usually occurs without symptoms and is only very rarely associated with a life-threatening disease. Approximately 15% -45% of infected people spontaneously get rid of the virus within 6 months after infection without any treatment. The remaining 55% -85% of individuals develop chronic HCV infection. Chronic hepatitis C is the greatest danger, since it can lead to cirrhosis of the liver or the formation of a cancerous liver tumor. The fact that the virus is in the human body both in the active and inactive state is a distinctive feature of the chronic form of hepatitis. At the same time, the states of virus activity change many times. transmission of infection from the infected mother to her child (it happens in less than 5% of cases, infection usually occurs during childbirth, when a baby is passing through the picnics). Hepatitis C is not airborne transmitted disease, and it is not passed through any kind of contacts like handshakes, hugs, touching skin but only through blood. The symptoms of viral hepatitis C are nonspecific, which seriously complicates early diagnosis and timely treatment. There may be weakness, nausea, pain in the muscles and joints, increased fatigue, weight loss. In the presence of such manifestations, which may be symptoms of viral hepatitis C, you should visit a doctor as soon as possible. It helps to remember that most often hepatitis C virus does not have any symptoms. Despite this, inflammation and fibrosis continue to progress, which can eventually lead to cirrhosis of the liver. Therefore, chronic viral hepatitis C is often called a “gentle killer.” The problem is that the course of the disease and the rate of its progression are highly variable and unpredictable. In one case, several decades can pass before cirrhosis affected by viral hepatitis C begins developing, in another case, cirrhosis can be formed within a year. The main diagnostic methods are the laboratory determination of antibodies to hepatitis C virus (anti-HCV) by means of enzyme immunoassay (EIA) and the detection of RNA of hepatitis C virus in the blood (HCV RNA) by polymerase chain reaction (PCR). 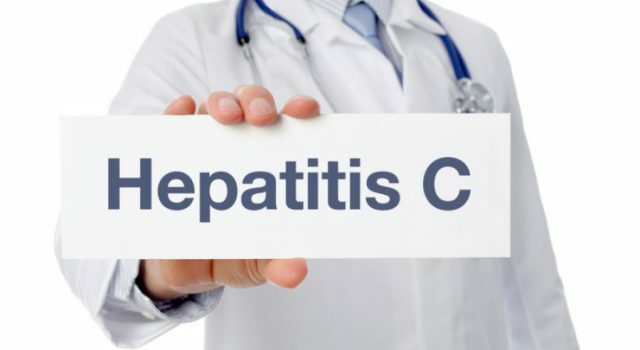 The first method is intended, first of all, for screening; The second one allows the amount of hepatitis C virus in the blood-the viral load and its genotype to be determined, which has prognostic value and determines the choice of treatment tactics. Evaluation of the severity of fibrosis is performed by the biopsy or non-invasive tests (elastometry, “fibrotest”, “fibrometer”). The treatment of hepatitis C is complex and in many respects similar to that of hepatitis B. The risk of hepatitis C is also that there is no effective vaccine that can protect against infection with hepatitis C.
To reduce or eliminate the inflammation of the liver, in order to prevent the transition of hepatitis to cirrhosis. To reduce the amount or completely eliminate the virus from the body, in particular from the liver. The basis of all treatment regimens is interferon-alpha. The mechanism of action of this drug is to prevent the infection of new liver cells (hepatocytes). One more effective new remedy against Hepatitis C is Harvoni, which is safer than medications used before. However this drug has a number of side effects. If the liver damage is very serious and as a result it does not function properly (the final stage of liver failure), to prolong life, liver transplantation is necessary. After transplantation, long-term follow-up of doctors and specialists are required. In addition, it is necessary to take immunosuppressants to prevent the rejection of new liver by the body, resulting in other problems. However, most patients feel perfectly normal with a transplanted liver and can lead a normal life. Some people believe that some remedies of alternative or folk medications can help to get rid of the Hepatitis C. They include milk thistle, honey, propolis, ginseng, colloidal silver, acupuncture, moomiyo, supplements containing zinc, probiotics. But there are no official confirmations that such therapy is effective. If Gepatitis C is left untreated, the most probable outcomes are: fibrosis and hepatocellular carcinoma, that is, cancer. Fibrosis is the replacement of the liver cells with a connective tissue. This process gradually spreads throughout the hepatic tissue, resulting in cirrhosis. The earlier hepatitis C is treated, the less the risk of complication development is. The effectiveness of treatment depends on the patient’s age, duration and stage of the disease (effectiveness is lower in patients with cirrhosis of the liver), the degree of alcohol consumption, the presence of obesity and some other factors. Today may be said that the diagnosis of hepatitis is not a fatal or life sentence. The desire of the patient and the professionalism of the doctor can successfully defeat the disease. Under the influence of interferon in the human body there are symptoms resembling infection with the flu: high temperature, weakness, cough. Other side effects include: hair loss, depression, insomnia, nausea. They last about 12 hours after injection. They are mostly expressed in the first two weeks of treatment. When taking interferon, you need to take blood tests every month to assess the effectiveness of treatment.